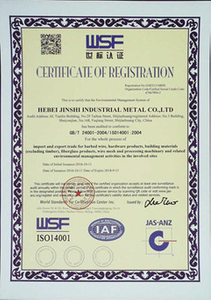 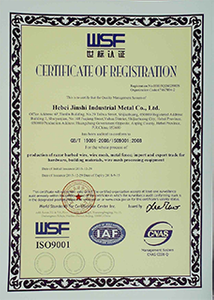 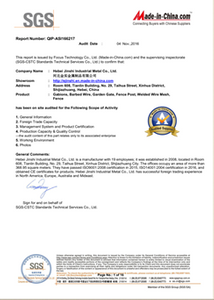 Certificates - Hebei Jinshi Industrial Metal CO,LTD. Hebei Jinshi Industrial Metal Co., Ltd. is an ISO9001:2008 certified manufacturer in regard to the manufacturing and processing of stainless steel wire mesh, galvanized wire mesh, welded wire mesh and series wire mesh products. 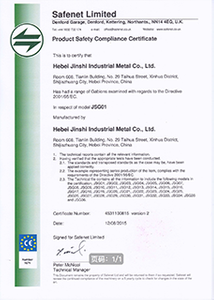 For detail, please refer to the certificates in this page.